November 12, 2017 I became a half marathon finisher. Looking back, I believe G-d knew I would on March 27, 2015. At the time my swagger wagon only had one car magnet....a 5k one. Someone placed this 13.1 magnet on my car while my family and I were inside a movie theater. When we walked out there was some confusion about this being my van. At the end of the post with this picture I wrote: "Cracks me up that someone put this on my swagger wagon!! Maybe they are telling me I should do 13.1???" Running wasn't even on my radar in 2015. My last and third 5k was in 2013. I had meniscus surgery on my right knee in 2012, my left knee in 2013, and other health issues in 2013. I was trying to keep fighting on my journey despite feeling defeated, but running was not apart of that fight! In September of 2015 I had to have thyroid surgery, which led to an asthma diagnosis and months of getting that managed. He asked me to do the impossible. I said yes. Being obedient to this doing the impossible challenge helped me embrace my one word for the year, courage. Courage does not mean no fear or no risk. It's realizing the presence of danger, fear, or difficulty and still taking action. I was unsure of my ability to follow through with this training due to asthma and my knees. All of the work led to half marathon day. On one hand it was just another run, but on the other hand it was so much more. I had so much support and encouragement and for that I am grateful. I had many who allowed me to ask questions and gave me their tips....including tips for running in the rain. During training I always skipped days that it rained and made it up later. On race day, I could not skip. I don't know how long it rained at the start, a few miles maybe, it wasn't a down pour, but it wasn't a sprinkle either, and boy did it spike up the humidity! I was gasping for air by mile 9 and had to have help getting my inhaler. The air also seemed to make me loose electrolytes faster. During training my knees never hurt, but on race day, I became worried that something was wrong and I would not be able to finish. I just kept going. I knew G-d called me to this, and He would see me through. Throughout my training I used an app I love that helped me know my mileage and my pace,but while participating I used a different app, and it did not match the mileage signs on the route nor inform me of my distance between miles and I felt lost many times. I often wondered where I was and how far I had to go. I was asked by a gentleman checking on runners in a golf cart, if I was ok several times and asked once if I wanted a ride. I must have been a sight! (The rain that began again at the end wasn't helping matters.) I told him no, I would finish even if they shut down the finish line. I finally made it to the last drink station, so approximately mile 12 and was blessed by two amazing ladies who asked if they could run in with me. (During this mile, I did ask a cop driving us in to arrest me, but the ladies would not let him.) I even had another volunteer run with me for a minute at a previous station, who joined us right before crossing the finish. I was used to running and walking alone, it is how I trained, but having support to finish that last mile was a blessing. Crossing the finish line made me smile from ear to ear and cry. Impossible became possible. I conquered 13.1 miles. I completed a half marathon. Really G-d did it. He called me to it and met me in every step of every mile. I am so humbled by that. I am so grateful that I obeyed and experienced this journey with Him. He knew I could do it on November 12, 2017 and knew I would on March 27, 2015. He also knew why He was calling me to it. He knew I needed this journey at this time. The work that He and I did for the last 6 months has equipped and empowered me. 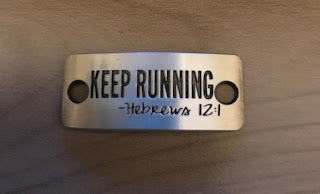 It has helped me grasp a deeper meaning of endurance and perseverance. This challenge has been hard! I have wanted to quit....but I kept obeying, enduring, and persevering. I have grown stronger physically, emotionally, and spiritually. Hebrews 12:1 says "Therefore, since we are surrounded by such a huge crowd of witness to the life of faith, let us strip off every weight that slows us down, especially the sin that so easily trips us up. 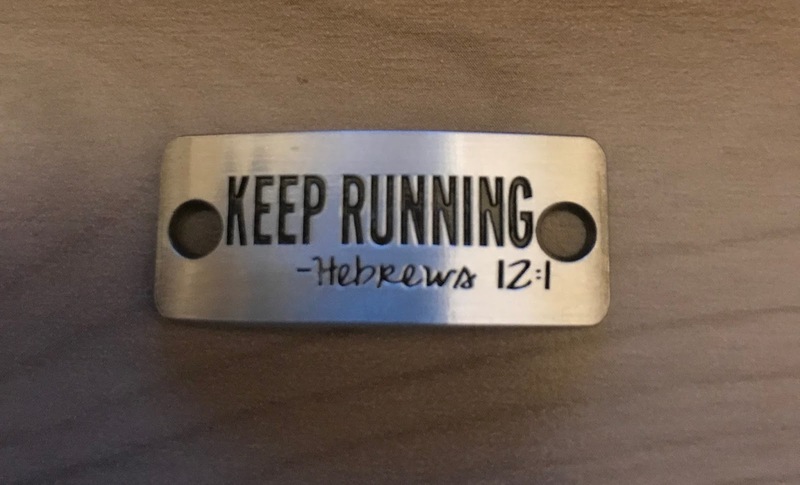 And let us run with endurance the race G-d has set before us." Whatever your race is, it may seem impossible, but G-d.
You can do it my friend. And He will meet you in every step of every mile.